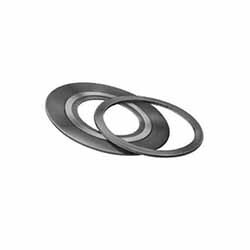 ﻿ Monel 400 Spiral Wound Gasket, Alloy 400 Metal Gasket Exporter. 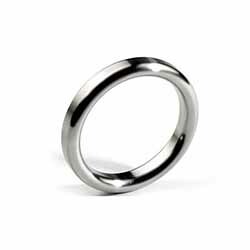 Alloy 400 Ring Gaskets Manufacturer, Monel 400 Spiral Wound Gasket Exporter, Monel 400 RX Gaskets Supplier In India. We, at Amco Metals, focus on delivering innovative products that become ultra-reliable solutions to the requirements of the market. We offer premium customer services our clients. We help our customers to choose the right products to meet their requirements. We are a manufacturer, trader, stockist, supplier and exporter of Monel 400 Gaskets that are recommended for use in the marine chemical, petroleum and gas industry for their enhanced resistance against seawater and steam at elevated temperatures. 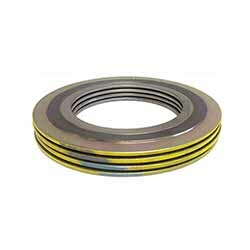 Our Monel 400 Spiral Wound Gaskets that are great to use under varying high-temperature services as these gaskets offer greater flexibility while working under pressure. Also, they are much safer and effective against toxic solutions. We also deal in UNS N04400 Monel 400 Octogonal, Insulation and Ring joint type Gaskets. We have built a reliable portfolio of reliable products that are completely customizable and meet all market demands over the span of 25 years. We are an ISO 9001: 2015 certified company, passionately building sustainable customer dedicated engagements. ASTM B127 Octagonal Gasket Manufacturer, Monel 400 O Ring Gasket Exporter, Alloy 400 Grooved Gaskets Supplier In Worldwide. Gambia, Jordan, Gabon, Bhutan, Nepal, Afghanistan, Israel, Brazil, Costa Rica, Poland, China, Venezuela, Vietnam, Indonesia, Singapore, Nigeria, Iran, Croatia, Czech Republic, Poland, Australia, Saudi Arabia, Bolivia, France, Oman, Spain, Greece, Kuwait, Hungary, Trinidad & Tobago,Tunisia, United Arab Emirates, Argentina, Germany, Malaysia, Thailand, Denmark, South Africa, Lebanon, Libya, Russia, Bulgaria, Romania, Serbia, Macau, Pakistan, Namibia, United Kingdom, Ecuador, Sri Lanka, Switzerland, Mongolia, Yemen, Kenya, Chile, Sweden, Lithuania, Netherlands, Ukraine, Iran, Tibet, Peru, South Korea, New Zealand, Ireland, Estonia, Austria, Finland, Colombia, Iraq, Japan, Portugal, Slovakia, Egypt, Mexico, Canada, Belgium, Azerbaijan, Mexico, Chile, Ghana, Norway, Puerto Rico, Italy, United States, Bahrain, Qatar, Hong Kong, Algeria, India, Taiwan, Zimbabwe, Morocco, Bangladesh, Belarus, Angola, Turkey, Nigeria, Philippines, Kazakhstan. Aberdeen, Hyderabad, Visakhapatnam, Chandigarh, Granada, Ahmedabad, Al Khobar, Mumbai, Algiers, La Victoria, Courbevoie, Secunderabad, Hanoi, Ankara, Rajkot, Nagpur, Rio de Janeiro, Jaipur, Faridabad, Bangkok, Pune, Baroda, Navi Mumbai, Melbourne, Singapore, Atyrau, Noida, New Delhi, Dammam, Lagos, Kuwait City, Bhopal, Dubai, Ahvaz, Milan, Haryana, Cairo, Ludhiana, Gurgaon, Petaling Jaya, Muscat, Abu Dhabi, Nashik, Riyadh, Ernakulam, Kanpur, Thiruvananthapuram, Port-of-Spain, Los Angeles, Pimpri-Chinchwad, Bogota, Brisbane, Mexico City, Edmonton, Indore, Howrah, Al Jubail, Madrid, Tehran, Thane, Jeddah, Doha, Hong Kong, Surat, Colombo, Toronto, Santiago, Houston, Perth, Geoje-si, New York, Caracas, Istanbul, Jakarta, Vung Tau, Vadodara, Busan, Ho Chi Minh City, Jamshedpur, Seoul, Ulsan, Sharjah, Chiyoda, London, Coimbatore, Lahore, Sydney, Calgary, Kuala Lumpur, Kolkata, Montreal, Moscow, Manama, Ranchi, Karachi, Bengaluru, Dallas, Gimhae-si, Chennai.